Festool Fest!! This Saturday April 6! Festool Fest is back! Festool staff will be on hand for demos and to show you how Festool tools can help you work fast, cleaner and more efficiently. 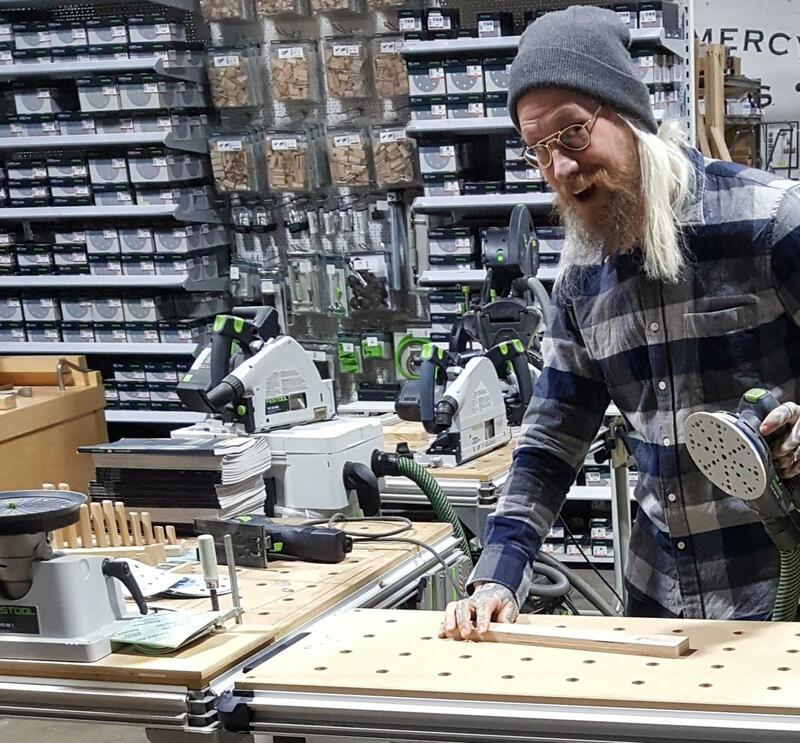 Check out the new Spring 2019 tools and accessories, including the new Mobile MFT Work Shop and all the classic Festool tools. Working in a tight space? We’re got you covered with lots of great ideas. Want some Festool swag? You’ve come to the right place. Feeling peckish? We’ll have some tasty treats to help you replace the energy you'll be expending checking out all things Festool. Saturday, April 6th 12 - 3 pm at our showroom, 112 26th Street between 2nd and 3rd Avenues, Sunset Park, Brooklyn.